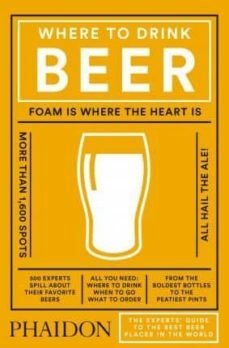 Where to Drink Beer is the ultimate guide by the real experts - 500 of the world's most revered brewers reveal the little-known, eclectic, and surprising destinations they visit for their ultimate beer. With 1,600 listings in more than 70 countries - and detailed maps, reviews, key information, honest comments, and suggestions - there is nothing like it. Designed in the same visually striking format as Phaidon's bestselling Where Chefs Eat, this book guides thirsty beer fans toward the best places across the globe to find the best examples of the world's most popular beverage.